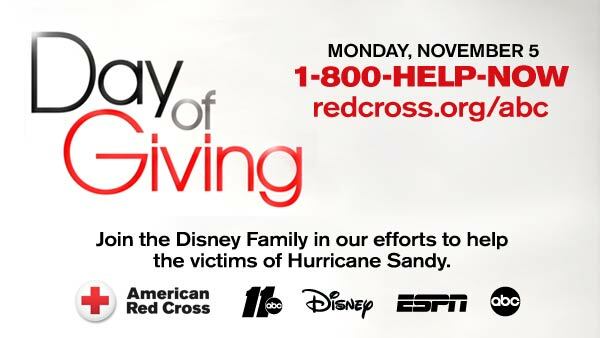 Disney Girl: Day of Giving! Merry Magical Monday Everyone! I hope that this finds you enjoying your day! I want to mention how wonderful it is to see that Deb over at Focused On The Magic has power and is back blogging. Deb, you were missed last week! Today she has a very important post regarding Disney's Day of Giving. Head on over to Focused On The Magic and see how you can help the victims of Hurricane Sandy. Thanks SO much for stopping by!! Have a great evening! Thanks so much Brenda for sharing this message and your kind words! I missed you too and am so glad to be back blogging again! !